Viper is packed with brilliant features in order to provide a plagiarism scanning experience like no other. 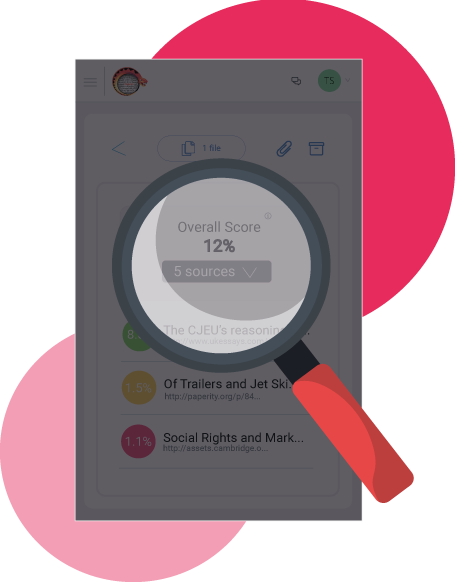 With incredible access to billions of sources, an easy-to-use interface and a comprehensive report on each scan, find out how Viper could save you from embarrassing unintentional plagiarism. Ready to learn more? Discover our Features to learn how Viper can help you avoid plagiarism on your next piece of work or skip straight to a Comparison of our Free and Premium options and decide which suits you best! Viper checks for plagiarism against 10 billion sources, scouring books, papers, PDFs and journals across the web to find matches with your work. With an average premium scan time of less than 30 seconds, you’ll be experiencing our lightning-fast scanning in no time. There are no delays – just easy to use, fast scanning. Each bit of matched content in your work is highlighted so that it’s easy to locate. We also report the full URL of any sources that match so that you can find the original content and easily compare the result for yourself. Each scan generates a detailed report showing you everything you need to know to understand how much plagiarism your work might contain. Each individual match has its own individual score, as well as an overall score for the document. 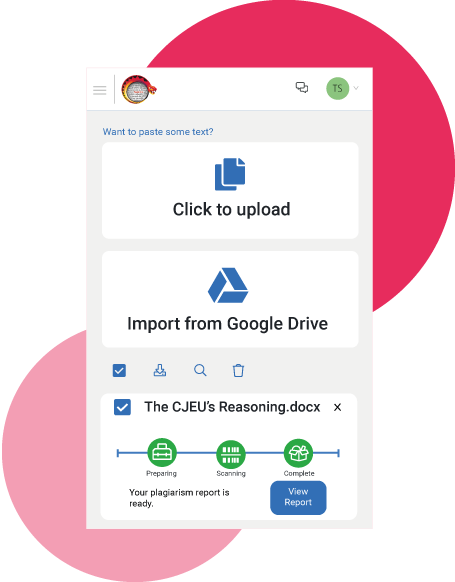 Download and take your plagiarism report with you wherever you go. It’s easy to submit to your teachers alongside your work as proof of originality or to send a copy to friends. 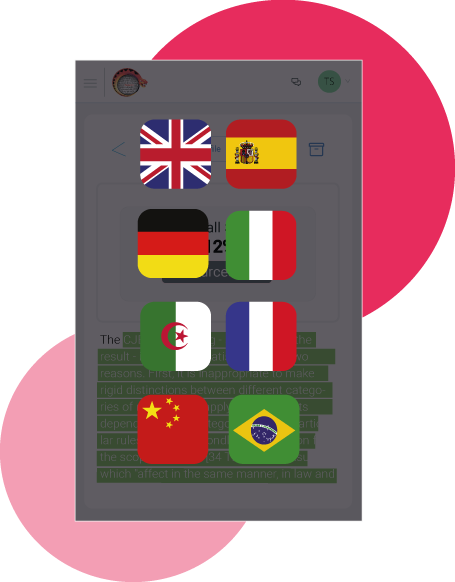 Viper supports 56 of the world’s most popular languages, including English, Spanish, Chinese, Arabic and many more. See if your language is supported here. The modern classroom isn’t entirely based in Microsoft Office, so neither are we. You can scan most types of text document, including Microsoft Word, PDF, OpenOffice and Google Docs formats. 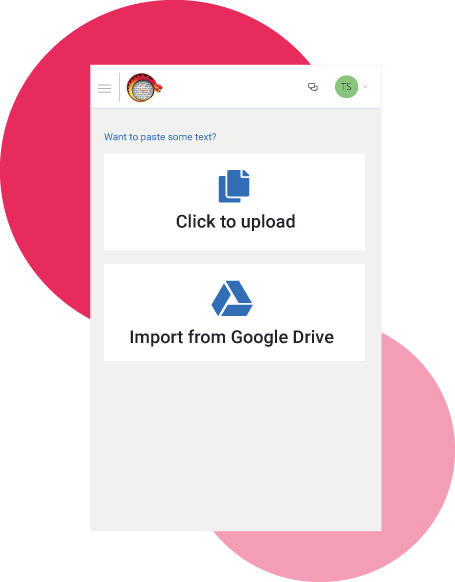 If you prefer to keep it simple, we also support plain text files, or you can just paste your text into our simple text box uploader. We now support PowerPoint Presentations, too! Store all your work and scans together for easy access at any time. Check your past scans and even previous drafts of your work. Get matches from your past pieces of work and avoid self-plagiarism. Does your work contain accidental plagiarism? Find out now and avoid embarrassment! What's the difference between free and premium scanning? Viper Premium comes with additional features and benefits to deliver an even better plagiarism-checking experience. Scan limits Premium users can purchase as many credits as they wish and may scan large word count files up to 100,000 words! Direct source matching Unlike Turnitin, we offer direct source URLs – not just domains. You can locate the exact page with matching content to your piece of work and find exactly where the problem might be. Ad-free browsing Enjoy an ad-free experience, with no banner advertising while using the scanner app. Improved scan quality Premium users enjoy improved scan quality, where your work is intelligently re-checked, re-processed, and analysed in additional ways for superior results. Faster scan speed As a premium user, you gain access to our fastest scanning speeds, as well as taking priority over free users with your scans. Work is never published online By purchasing a premium scan credit, your document won’t ever be published online. By using our free scan option, your work may be published online 3 months after scanning. Delete work and scans Have complete control over your scans. Archive them at any time! Group together draft work into a project Projects are perfect for draft work and scanning multiple versions of your work. 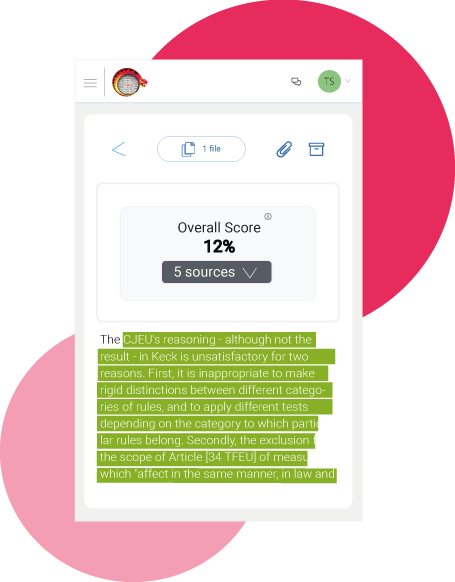 If you want to monitor your plagiarism percentage as you write and keep all your drafts together in a neat bundle, you can do so with Viper’s Projects feature. Scan against your own documents Premium users get matches against their previous scans. If you want to see if there's similarity between your current piece of work and a previous piece you've scanned, you can! Upload & scan multiple documents at once You can upload multiple documents at the same time and scan them all at once. Perfect for teachers and businesses - just bulk upload and scan! Unlimited* Premium users can purchase as many credits as they wish and may scan large word count files up to 100,000 words! Ad-free browsing *Premium Only* Enjoy an ad-free experience, with no banner advertising while using the scanner app. Improved scan quality *Premium Only* Premium users enjoy improved scan quality, where your work is intelligently re-checked, re-processed, and analysed in additional ways for superior results. Faster scan speed *Premium Only* As a premium user, you gain access to our fastest scanning speeds, as well as taking priority over free users with your scans. Work is never published online *Premium Only* By purchasing a premium scan credit, your document won’t ever be published online. By using our free scan option, your work may be published online 3 months after scanning. Delete work and scans *Premium Only* Have complete control over your scans. Archive them at any time! Group together draft work into a project *Premium Only* Projects are perfect for draft work and scanning multiple versions of your work. 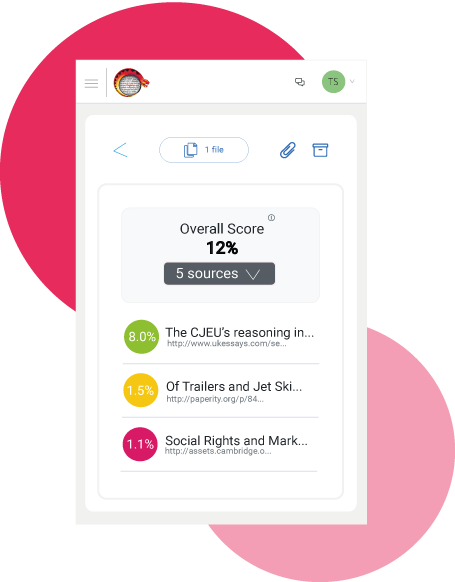 If you want to monitor your plagiarism percentage as you write and keep all your drafts together in a neat bundle, you can do so with Viper’s Projects feature. Scan against your own documents *Premium Only* Premium users get matches against their previous scans. If you want to see if there's similarity between your current piece of work and a previous piece you've scanned, you can! 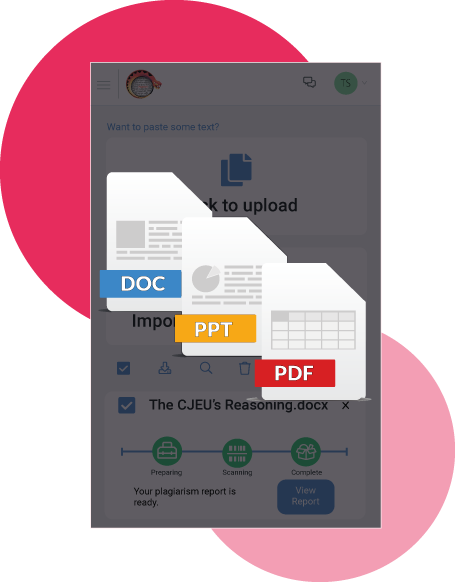 Upload & scan multiple documents at once *Premium Only* You can upload multiple documents at the same time and scan them all at once. Perfect for teachers and businesses - just bulk upload and scan! Scan limits Unlimited* Premium users can purchase as many credits as they wish and may scan large word count files up to 100,000 words! * You may purchase as many credits as you wish and undertake as many scans as you like. ** Free checks are limited to 1 per week, for work up to 5,000 words in length.